Incredible Photos: Sharks, Dolphins, Whales and Mantas! Sharks, Dolphins, Whales and Mantas! 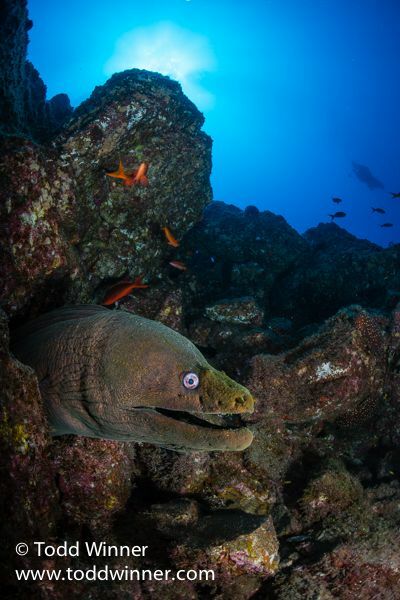 Socorro is one of those magical underwater places like Galapagos, Malpelo, and Cocos Island. 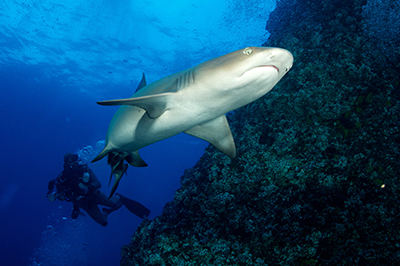 It is a premier big animal destination and one of the few places on earth where divers can easily interact with dozens of sharks on every dive - without the use of bait. 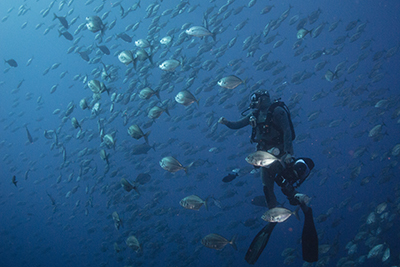 There are three islands that are typically visited on a Socorro trip: San Benedicto, Socorro and Roca Partida. The only way to get to the islands is by boat. 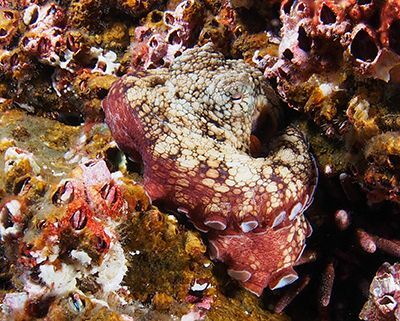 We held our Socorro workshop on the Rocio Del Mar liveaboard. The Rocio is a comfortable 110-foot vessel that can accommodate up to 20 guests, typically diving the islands from November through the end of May. 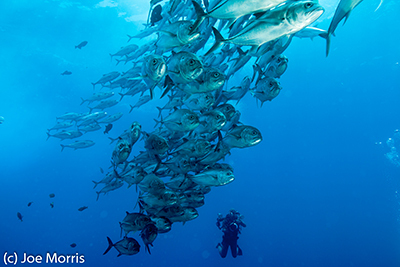 The Socorro Islands lie 250 miles off Baja Mexico's southern shore. Guests arrive and depart in San Jose del Cabo, which conveniently has flights from many international destinations. After boarding the Rocio, it takes approximately 24 hours to arrive at the islands. 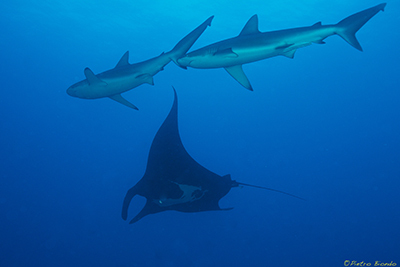 We had anticipated Mantas to be the main attraction for this trip. 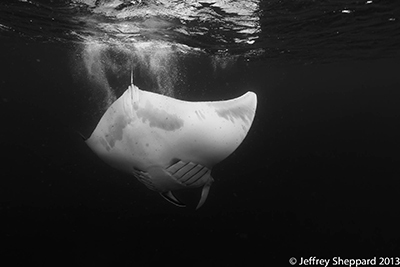 Unfortunately, the water was unusually cold and the Mantas were not at their cleaning stations. Situations like this are one of the unpredictable things with underwater photography and big animals. There's always going to be some level of unpredictability. The cold water did have one advantage - the humpback whales were still around even though they are typically only sited in the winter months. 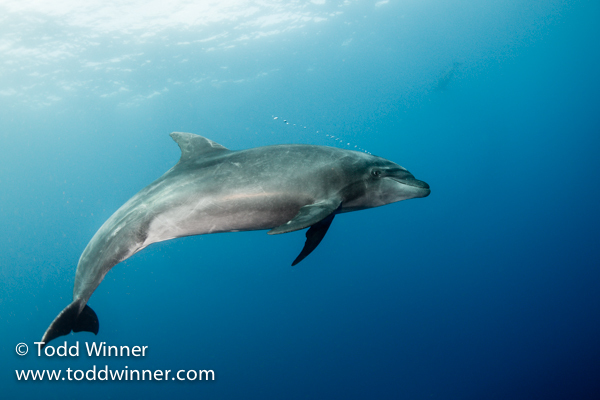 We had a nice underwater encounter with them on one dive and got to see numerous breaches. 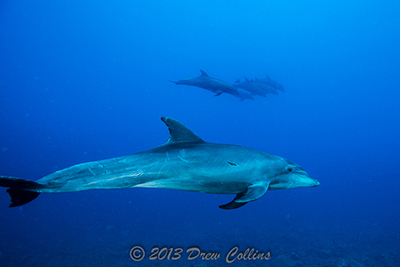 Over the past few years, bottle nose dolphins have been interacting with divers in Socorro and everyone on our trip got a few great encounters. 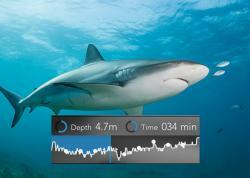 Sharks can be seen on almost every dive. 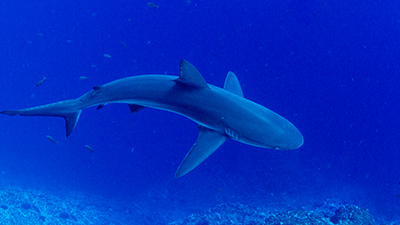 White tip sharks are found sleeping in every crack and crevasse, and Galapagos and silky sharks swim along with divers in the current. 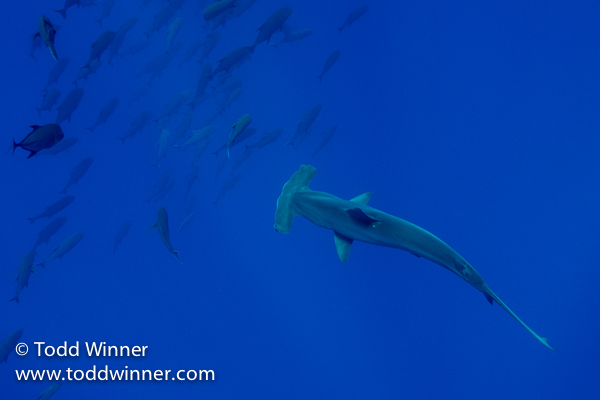 Hammerhead sharks are more elusive but were still sighted on many of the dives. Water temps typically range 78-82F, but it did occasionally get colder on our trip. I used a 5mm along with a hooded vest. Currents can also be very strong around the islands. In fact, on the second day at Roca Partida, we encountered a vortex that was strong enough to hold onto one of our divers for six minutes. This was a very rare phenomenon and probably not likely to repeat itself, but it is important to be a competent and fairly fit diver before going to destinations like Socorro. Every afternoon we had a short discussion on a particular topic, such as balanced lighting, Lightroom adjustments or any other subject the majority of guests were interested in covering. Throughout the week, there was plenty of time to get in some one on one time and review images. It is always a pleasure to be around other photographers that share your interests and to be able to swap knowledge. 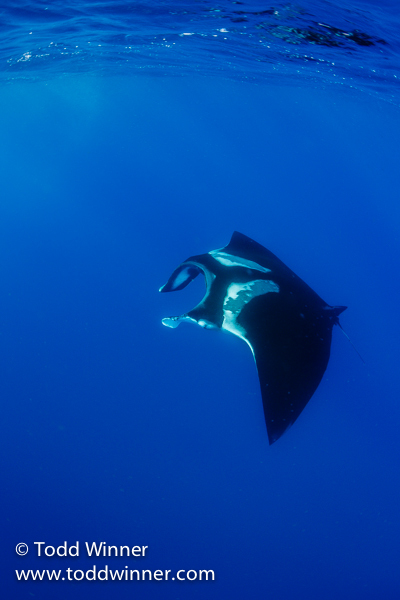 We got some great images and were lucky to have some fantastic snorkel encounters with mantas near the end of the trip. It just wasn't the cleaning station mantas we had expected. 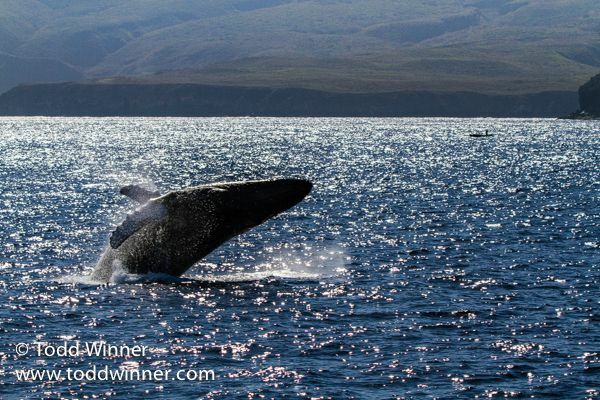 The humpbacks were incredible to witness and the sharks are always exciting to dive with. 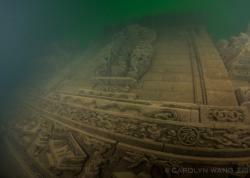 Please check out the Underwater Photography Guide trips page for more of our upcoming workshops! Todd Winner is a professional underwater photographer and cinematographer, PADI scuba instructor and owner of Winner Productions, a boutique post production facility catering to Hollywood's most elite cinematographers. 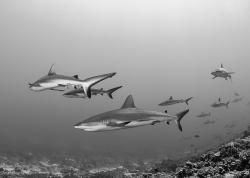 Since taking up underwater photography in 1990, Todd Winner has won over 60 international underwater photo competitions. His images have been published in numerous magazines and online publications. His work has been featured in commercial advertising, museums and private galleries. 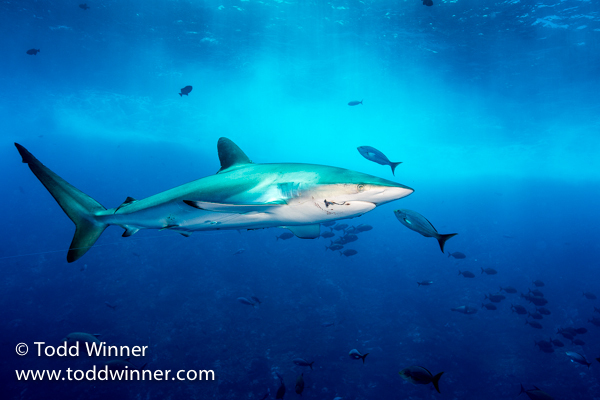 To see more of Todd's work or join him on an underwater workshop, please visit www.toddwinner.com.